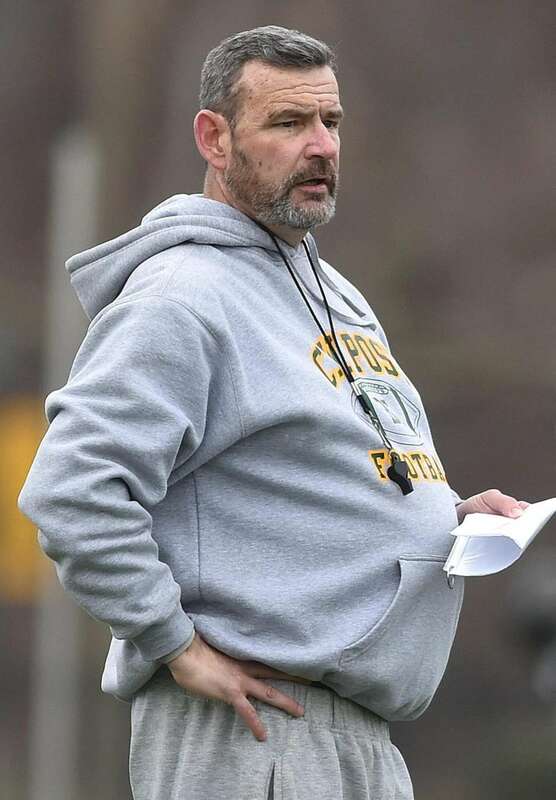 LIU football held its first practice of the spring on Monday, March 25, 2019 at LIU Post as the team prepares for an anticipated move to Division I.
Bryan Collins, LIU football head coach, oversees the team's first practice as a Division I squad at the college's Brookville campus on Monday, March 25, 2019. 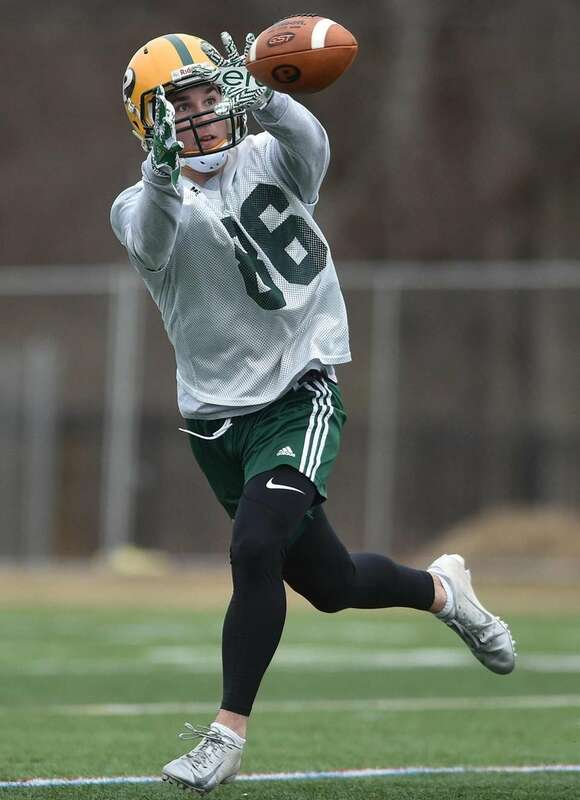 Jake Bofshever, LIU wide receiver, makes a catch during the team's first football practice as a Division I squad at the college's Brookville campus on Monday, March 25, 2019. 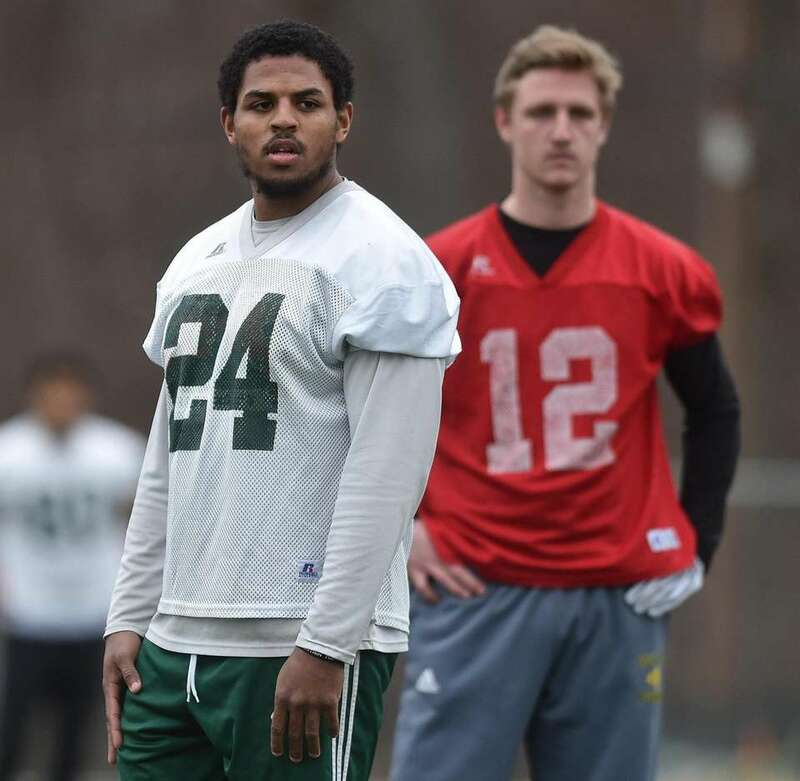 Jonathan DeBique, LIU running back and Baldwin High School alumnus, listens to coaches during the team's first football practice as a Division I squad at the college's Brookville campus on Monday, March 25, 2019. 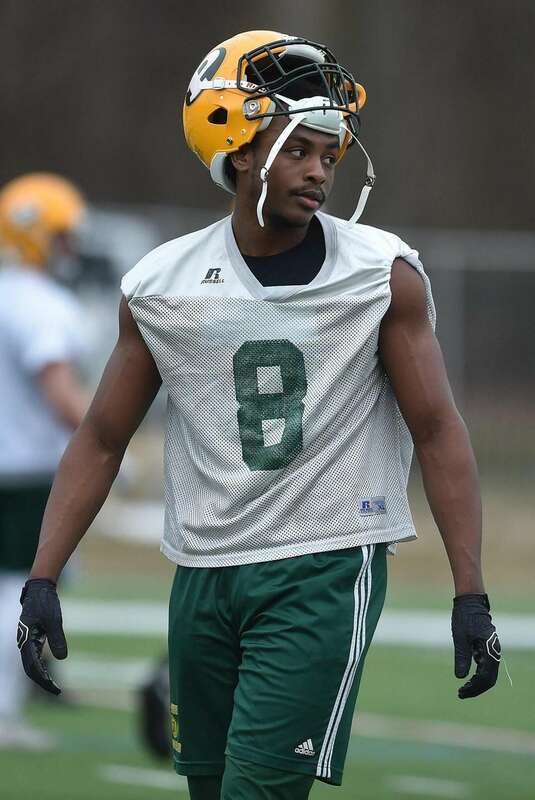 Alex Daubon, LIU wide receiver, lifts his helmet during the team's first football practice as a Division I squad at the college's Brookville campus on Monday, March 25, 2019. 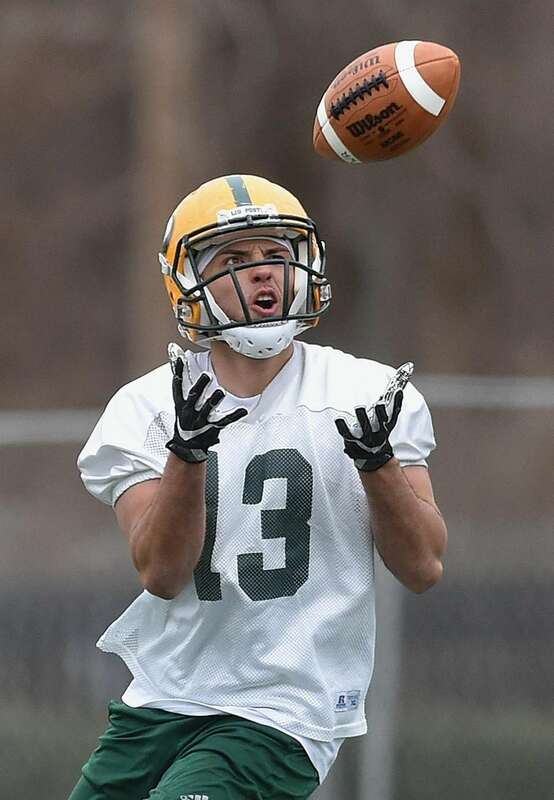 Tommy Powers, LIU wide receiver, makes a catch during the team's first football practice as a Division I squad at the college's Brookville campus on Monday, March 25, 2019. 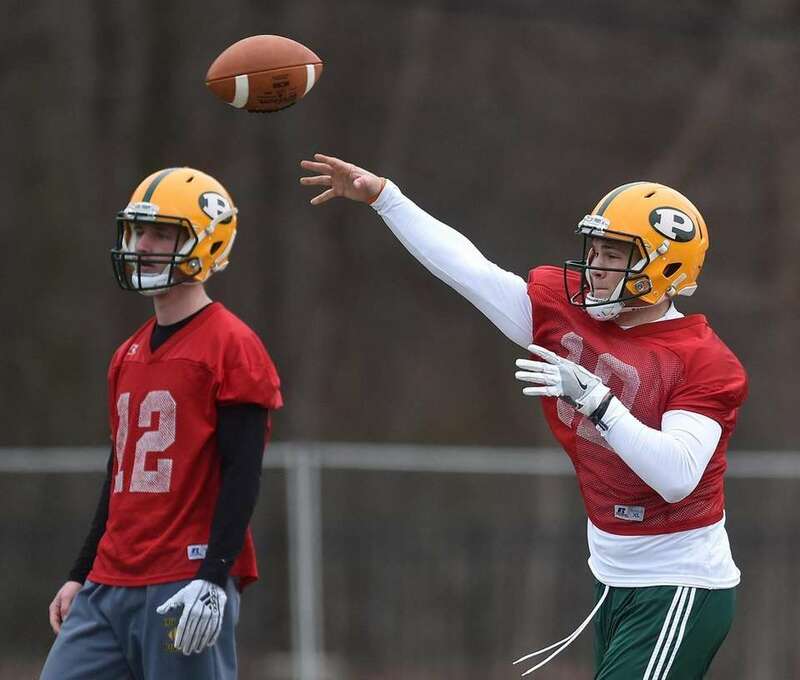 Clay Beathard, LIU quarterback, takes a snap during a spring practice on Monday, March 25, 2019 at LIU Post. 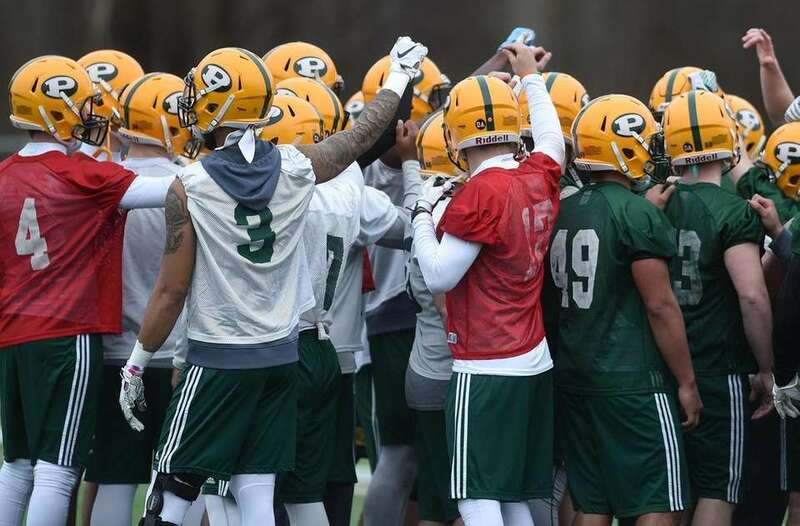 LIU teammates gather during their first football practice as a Division I squad at the college's Brookville campus on Monday, March 25, 2019. 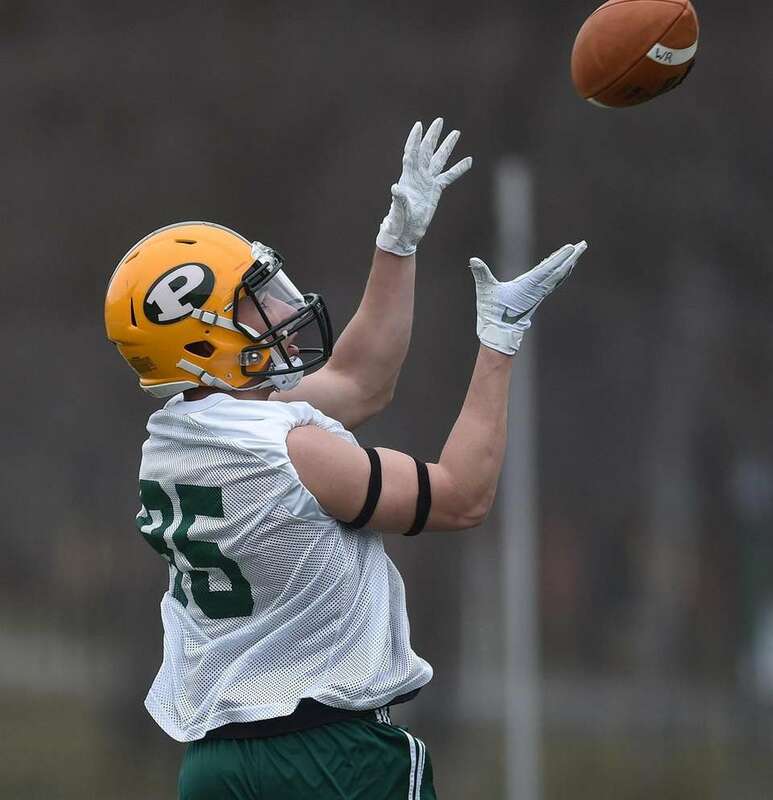 Steven Chambers, LIU wide receiver, makes a catch during the team's first football practice as a Division I squad at the college's Brookville campus on Monday, March 25, 2019. 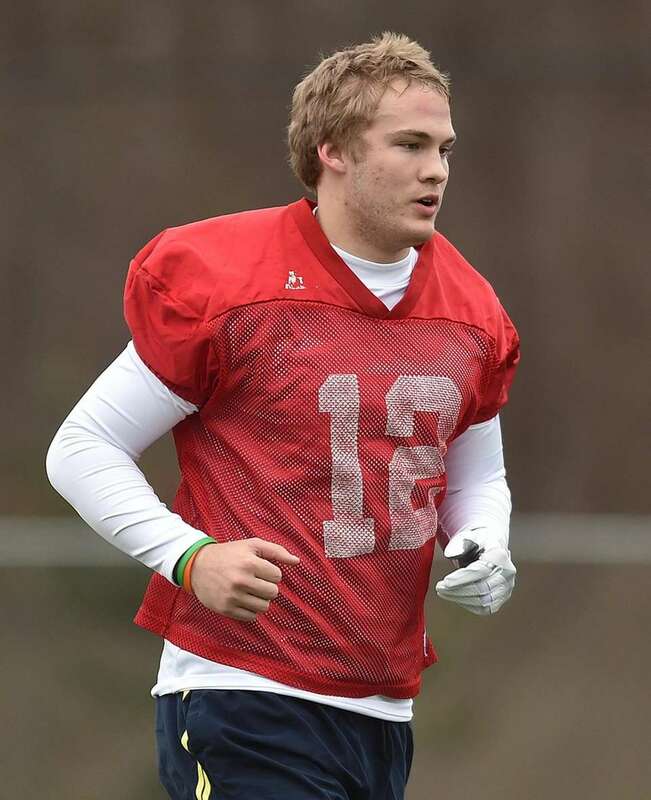 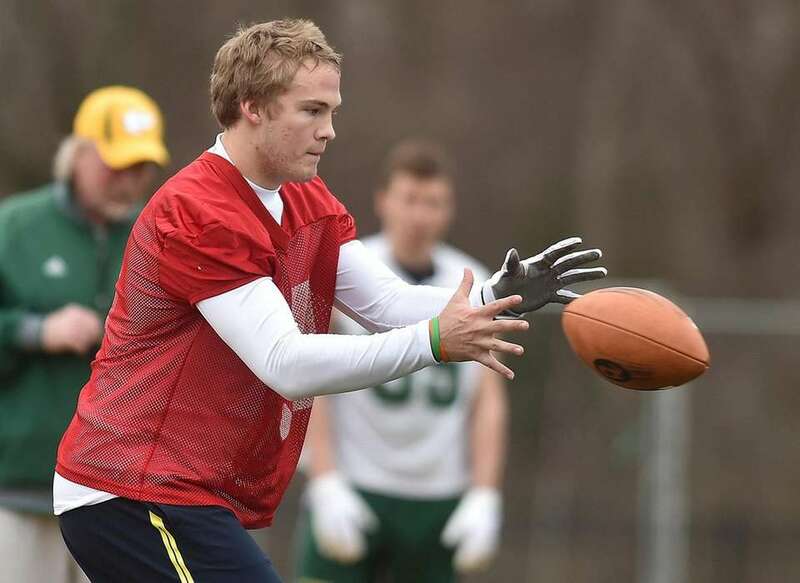 Clay Beathard, LIU quarterback, throws a pass during the team's first football practice as a Division I squad at the college's Brookville campus on Monday, March 25, 2019. 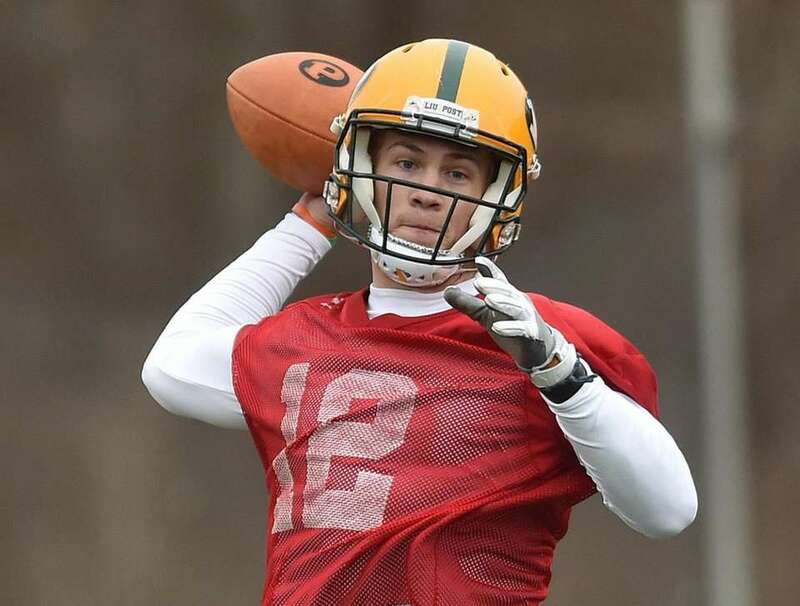 Clay Beathard, LIU quarterback, heads downfield during the team's first football practice as a Division I squad at the college's Brookville campus on Monday, March 25, 2019.